The 68th Italian chess championship finished this weekend in Martina Franca. 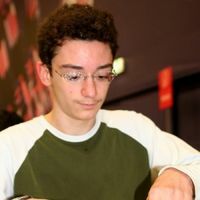 The young GM Fabiano Caruana is the new Italian champion. He won the event with 8,0/11 (+7 =2 -2). The silver medal goes to GM Michelle Godena who did not lose a game during the championship (+4 =7 -0), and the bronze is for IM Fabio Bruno (+5 = 4 – 3).